Cancer : Are the Lactose Intolerant Safer From Some Cancers? FRIDAY, Nov. 7, 2014 (HealthDay News) -- People who are lactose-intolerant may be less likely to develop certain types of cancer, a new study suggests. And, the researchers suspect the reduced risk may be related to diet. Data for the study included nearly 23,000 people in Sweden with lactose intolerance, as well as members of their families. People with lactose intolerance have difficulty digesting lactose, a sugar found in dairy products, because they have low or no levels of the enzyme lactase which is needed to digest lactose, according to the U.S. National Institute of Diabetes and Digestive and Kidney Diseases. The researchers found those who had trouble digesting dairy had lower rates of lung, breast and ovarian cancers than those without lactose intolerance. However, siblings and parents of people with lactose intolerance had the same risk for these cancers as people in the general population, which suggests that the lower cancer risk in people with lactose intolerance may have something to do with their diets, study author Jianguang Ji, an associate professor at Lund University, said in a university news release. People with lactose intolerance often consume low levels of milk and other dairy products, according to the researchers. "However, it would be wrong to conclude that milk is a risk factor for these cancers," Ji said. The reduced risk of certain cancers in lactose-intolerant people may be due to factors such as lower calorie intake due to lower milk consumption, or there might be protective ingredients in plant-based beverages used in place of milk, Ji suggested. "We must interpret these results with caution because the association we found is insufficient to conclude a causative effect," Ji said. "Further studies are needed to identify factors that explain the study's results." 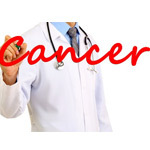 The study was recently published in the British Journal of Cancer.